Monarchs populations show dramatic fluctuations from year to year and we have been working to pinpoint the causes of these fluctuations. 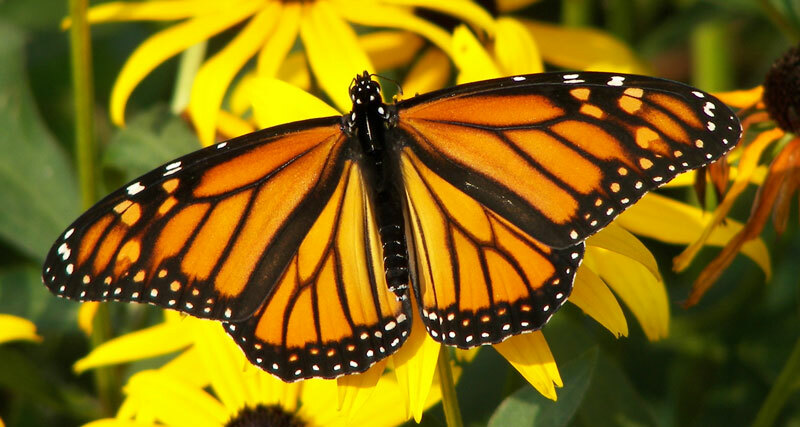 Our research suggests that conditions in both the spring and summer have an impact on how large the monarch population gets each summer, but that spring conditions seem to be more important. Our research to date has relied on two data sets from long-term monitoring programs. 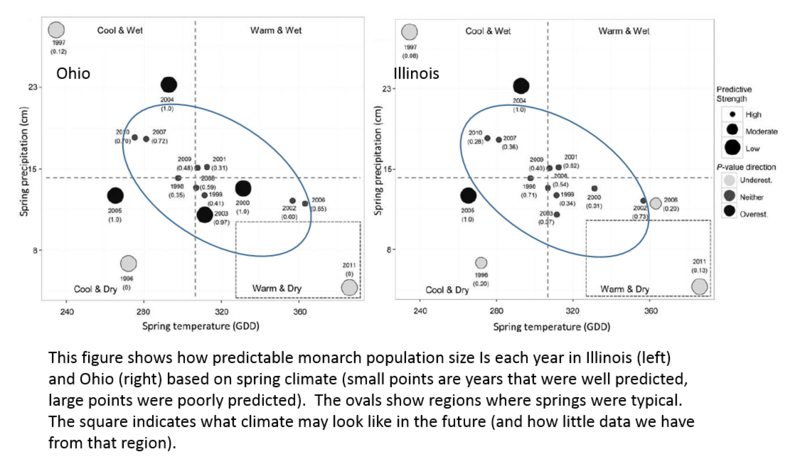 Using Illinois and Ohio data, we have shown that monarch population dynamics are largely driven by spring climate (Zipkin et al. 2012, Saunders et al. 2016) and, further, that population size is highly predictable based on climate as long as that year’s spring was within a “typical” (average) climate window (Saunders et al. 2016). However, for atypical springs, it is very difficult to predict population responses which calls into question our ability to predict into future climates that may be very different from what is being experienced today.